We have plans to visit some friends in sunny Florida later this summer, and I asked our friends for suggestions about the things we could do while we’re there. One idea they came up with was a safari ride. Outdoors. In an open-sided bus. In the summer in Florida. Oh, and the biggest selling point they gave us? We get to pet an alligator. So here’s the thing about me and the outdoors: Bugs like me more than I like them. I stood in my backyard trimming bamboo a few years ago. Twenty minutes in my own great little outdoors, and I ended up with over 50 mosquito bites. And that was with bug repellent. I was in agony for weeks. Now, I’m not opposed to petting an alligator. But subjecting myself to a kazillion different species of buzzing, biting insects for the singular joy of petting one? Um…no. Of course, then our friends sent me a video of the alligator that was in their front yard a few weeks ago. 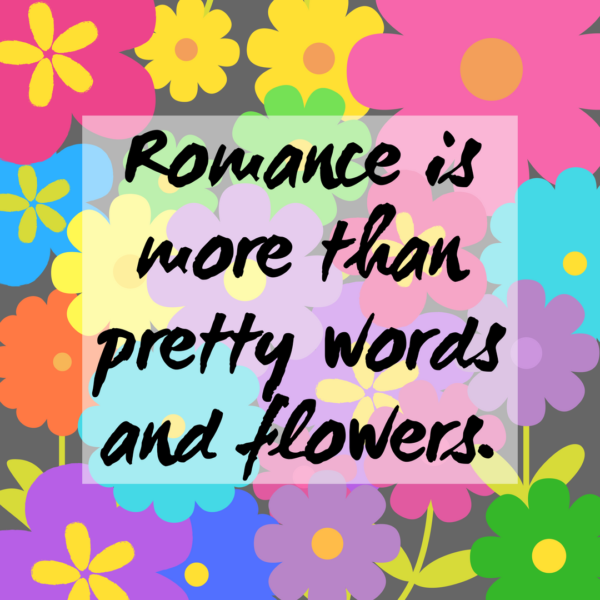 Romance is a lot more than pretty words and the occasional bouquet of flowers. In the younger stages, it’s about getting to know someone. In the more developed stages (we won’t say “old”) it’s about knowing someone – knowing that the bugs will chew your wife up and spit her out and that you’ll be stuck running to the drug store for anti-itch cream at two in the morning because she’s so itchy she can’t sleep…which means she’s be tossing and turning and you won’t be sleeping, either. What about you? Do you have any strange habits or tendencies (like being tackled by insects the way a linebacker tackles a running back)? How does your significant other show you his love in/through it? Hi Heather, I’m with you on the bugs! I often joke that my husband and I will be walking outdoors in summer and the bugs swarm around me, while he walks in his own force field that keeps them away!! My husband jokes and says the bugs love me because I’m so sweet and that they avoid him because he’s bitter and sour. ^_^ I don’t think I’ve ever had a citrus cake before, but it sounds wonderful! I love citrus in general, so that sounds delicious! Bugs like my husband but not me as much. He sprays so much bug spray that he is a walking force field. So everyone gets close to him . Hi Heather! In our family, we tease that as women / girls we are “sugar and spice.” Our blood is sweeter and so bugs love females, more than the males, who are “puppy dog tails.” My husband knows I love to read, prefer carnations over roses, my favorite chocolates are Ferrero Rochers, and enjoy visiting museums. Best wishes. Mmmm I love camping. We tented for years before buying a holiday trailer. Our favorite place to park that trailer is beside a mountain stream, not in an RV park! The sounds of nature soothe me. Well, except for the buzz of mosquitoes. They’re not so soothing! I live in Jacksonville, FL, and let me just say NO. LOL, I joke all the time that I am like the line from Titanic – I am more of an indoor girl. I cannot stand bugs…..I do not like heat, at all. Why am I in Florida?? Valerie Comer, think I need to move by you, lol!! I can house sit while you camp!! 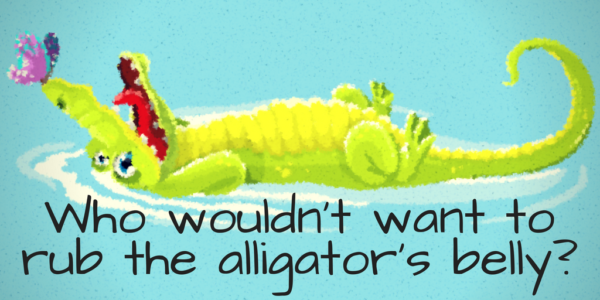 I have no interest in getting anywhere near an alligator, Heather. So if you pet one, you’re a better woman than me. Bugs used to search me out. But now they go after our son instead. I used to live in GA, but have never been to FL. I get eaten alive and so does one of my children though the other three children and my husband are pretty much immune. He invests in a LOT of bug spray for us and I’m forever grateful.